Sketching is the basis of every design. It starts with a simple idea and ends up on paper with a professional sketch ready for the next step in the design process (digital tracing). 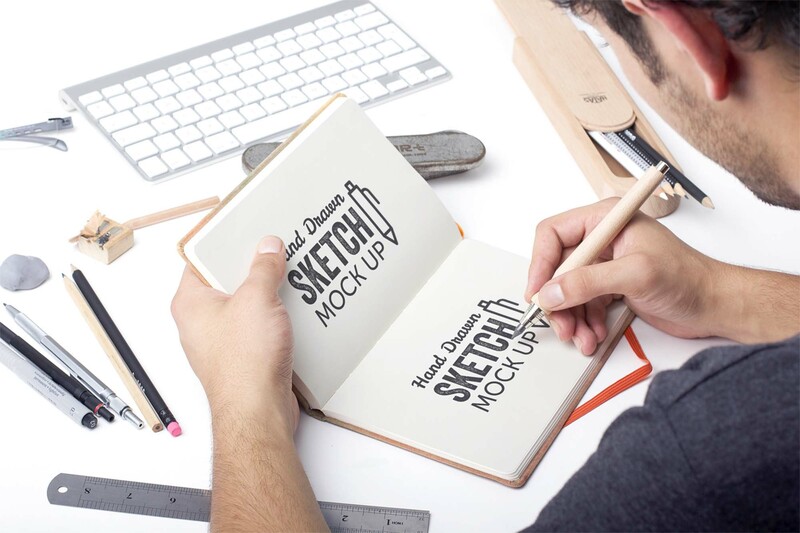 This hand drawn sketch mockup demo will help you convert your artwork into hand sketched style. You can also drag and drop real scanned hand sketched lines into it and paste it into your favorite mockup scene (this demo includes 20). The scenes are different and come in many variations like a hand drawing presentation while there’s a hand holding a sketchbook, or a simple composition surrounded by art equipments, there’s also paper type variations like thick watercolor paper, A4 paper, kraft paper and black paper. 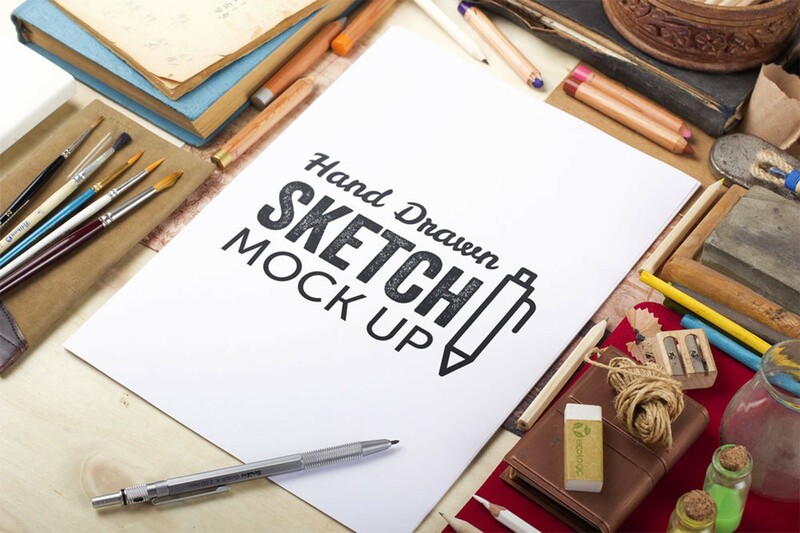 This mockup demo is perfect to present your watercolor artwork, and it will uplift the look of any sketch and make it look more professional. Thank you Mockup Zone for always sharing amazing design resources and making an artist’s life easier. Make sure you get the full premium version if you like this graphic.